I started out trying to record with a film camera, filming the TV screen. This was crap. Crappy quality, shaky, bad angles, ugly sound.. etc. So i moved on to borrowing my boyfriend’s brother’s HDPVR, this worked on and off, didn’t work with my NTSC or japanese systems, only my PAL. The recordings got a constant humming in the background sound and it was also a hassle to connect the thing, cords from the HDPVR to the TV, to the laptop (not being able to use my stationary computer=inconvenient) and to the console. I then had to transfer the files from my laptop to my stationary to work with them. After talking to some stores, I got convinced to buy a DVD recorder. This worked, but not with my NTSC or japanese systems.. also it was a hassle having to record on DVD’s then transfer the files to my computer and convert them to files I could use. The recordings also carried a constant humming sound in the background and the image was laggy.. However the DVD recorder purchase was not in vain. 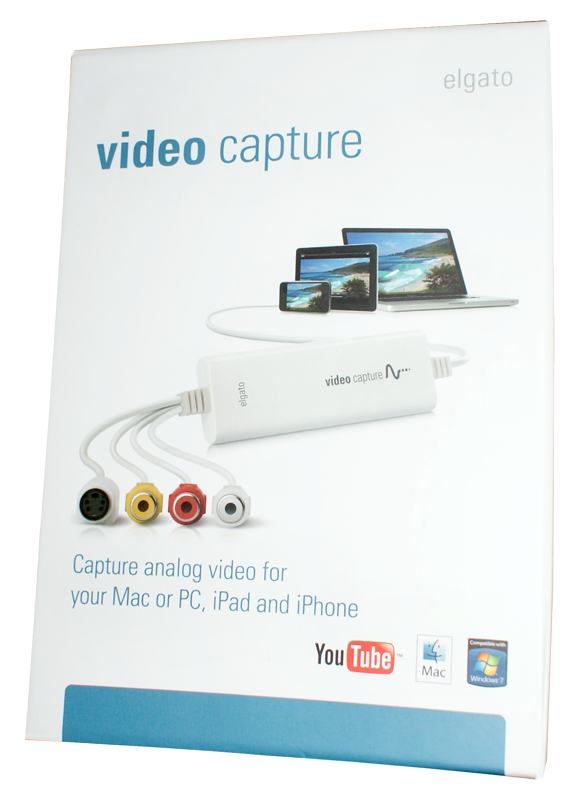 A friend advised me to get the Elgato Video Capture from the apple store. BUT when I connected it through the DVD burner into the console the image was perfect, no lag, and I could play the games straight on my iMac, while recording! It doesn’t look too messy, not too many cords or machines to connect together, and best of all, the sound is perfect! Now I haven’t had time to try it out with my NTSC machines or the japanese yet, but I hope it will work o_O The Elgato is said to be able to take all formats, however I’m not sure if the DVD burner might f*ck it up.. 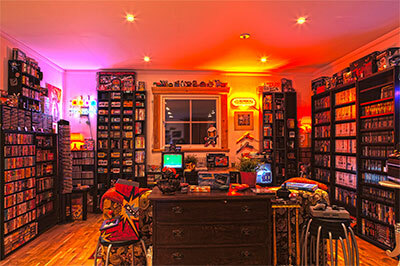 This entry was posted in Misc and tagged 16-bit, 8-bit, Computer, console, Elgato, Game, Mac, Nintendo, Play, record, Record games, Sega, Streets of rage, Video recorder. Bookmark the permalink. Japanese should work just fine, SECAM and PALB have the same phase code to use as ZERO reference (without a ZERO the image starts moving up). Damn it, that might work with my NES, but probably not since it’s american cables (our antenna cables are different) the only way for me to connect any foreign consoles on my TV’s is through the yellow and red cables. Also, my Famicom (the japanese system) is modded and the only output it has is yellow and red, so no way of connecting it to something else..
Should I connect the console completely to the TV and then the Elgato from computer to the TV? Would that work? It’s way cheaper than the el gato one, and at least with my NES I didn’t have to go through anything else just straight USB. wow, I wish I’d known that earlier ;D well it looks almost identical ^_^ Did you get software with it? If not, which programs on the mac do you use to record it with? Do you think that the iGrabber software would work with the Elgato? The problem with my NTSC and Japanese systems is that the mac doesn’t work as a monitor, I can’t watch the game while I play it, however if I record, it creates a movie, even though all I see is black the image comes through in the finished video. I think the iGrabber software is specific for their hardware so probably not. I’m actually not sure if it would be any different. If I could only find an application for mac that would be able to read the RF signal from the Elgato and just show me the video, then I could still be recording it simultaneously through the Elgato software, which works for that…. Man, that brought back a whole lot of memories =) I love the entier SOR series! oh, before I forget. If you haven´t allready tried out Sor Reamke, then do It! Cus It´s freaking awsome =) and thx for the tip on the Elgato Video Capture thing. Now I can record console games as well! have a nice day, cheers! Also it’s only a software, the issue is also connecting the console to you computer and seeing the video. Is that black thing behind the Mega Drive the DVD burner? What is the type of DVD burner that you have? I am having the same problem as you originally had and I have to get something to run it through to make it appear decent. What kind of console are you trying to hookup btw? Cause I have experience with most types, and the two consoles I still haven’t managed to get working is the Japanese Mega Drive and Japanese Master System.. Thanks for the reply. 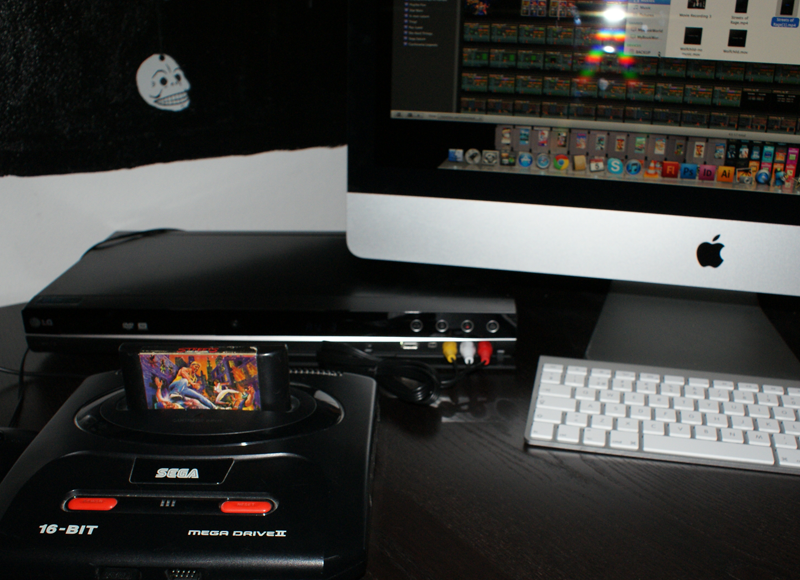 I am trying to capture footage from my SEGA Megadrive through the Elgato Video Capture device, just like you did. I am having the same problem where the screen is flickering and I just didn’t know what to do, but after finding and reading your post here I guess there is hope! I will be on the lookout for a LG DVD burner, thanks! Is it a japanese sega mega drive? Or PAL (european)? Oh by the way, is your LG DVD burner an external one? because when I search on eBay it only shows what looks like internal ones for computers? I don’t much about this kind of stuff as you can probably tell. @stopxwhispering. I realize this post is just over a year ago but I figure I’d give it a try. I’m having the same problems with my Elgato, Mac, and game console. I want to try your DVD recorder idea. Do you know what model # your LG DVD recorder is? Also, as I mentioned, it’s been over a year now. 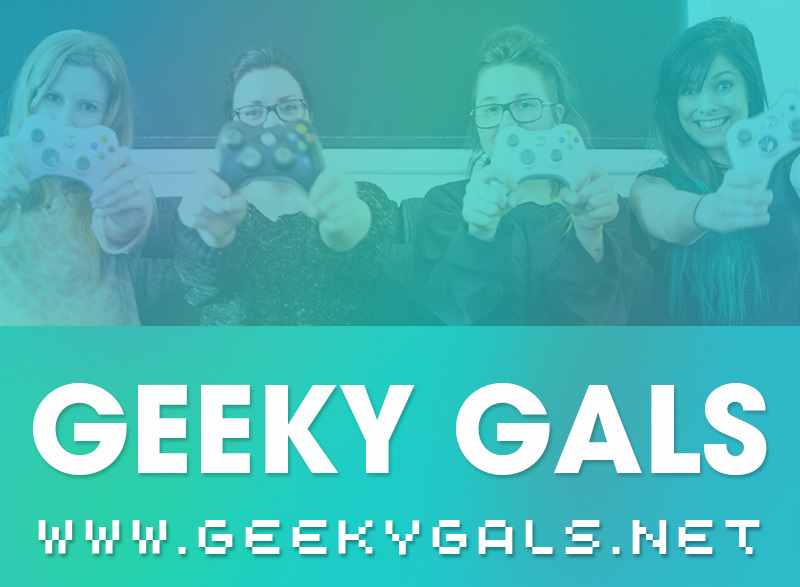 Are you still using the same setup to record/monitor the old 8/16 bit game consoles or have you found an improved one at the moment? Just a few weeks ago though I found a new way which made it possible for me to record all systems, even the hard japanese Mega Drive and Master Systems that usually got scrambled in the process of trying to record. I bought a more expensive DVD record, which also has an internal memory HD. This one actually recorded the video and sound without any issues, but it’s recorded to either the HD of the DVD recorder or to a DVD. I have not yet figured out an easy way to extract the footage from the DVDs, but I am working on it and will probably make a new post as soon as I have a solid solution ^_^ In this scenario I am not using the Elgato, because so far I have not found a way for the signal to go out from the DVD recorde to the Elgato without being scrambled..
DVD recorders have an option not found in most capture cards, RF Analog capture, so you can capture Atari 2600, Colecovision, Intellivision, Astrocade, 5200, 7800, etc. without having to buy an expensive TV RF capture card. Never thought of that! Cool I’m gonna have to try it out :) Still haven’t figured out a way to capture RF Analog signal..
One of my DVD recorders has a combined analog/digital tuner. I see people posting different world versions of the same consoles. Mine are All-American(-market) consoles, DVD recorders, Capture Cards and TVs. Also you should Y your signal into a CRT TV, because the DVD has a slight delay compared to a CRT TV. On my 3DS filming the 2 TVs together, I found a 2-frame delay. 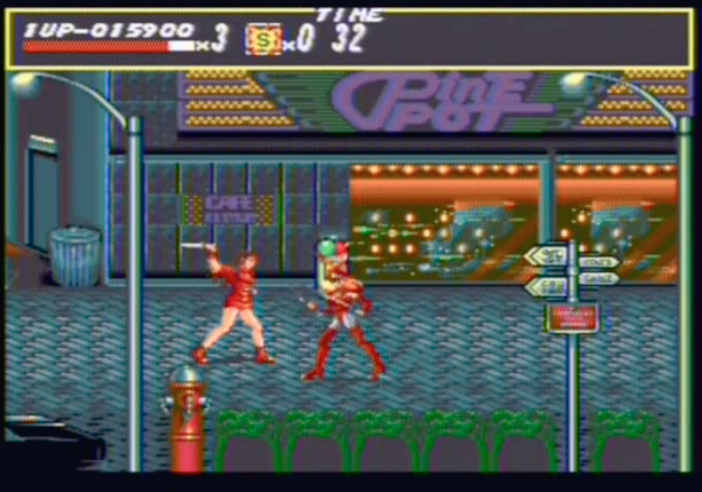 If you run one end into the CRT TV straight, the other one can be delayed and not affect your gameplay. But my Hauppauge Rocket capture card needs a “Powered Signal,” since it doesn’t like unpowered splits. Luckily, a DVD recorder boosts the signal too. And since my DVD recorder can output component, it looks clearer. 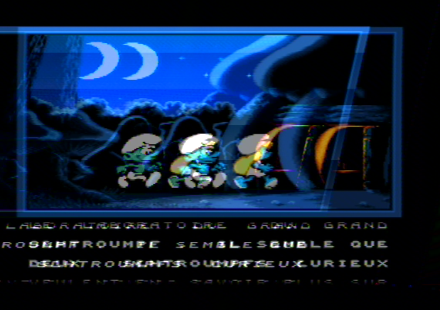 Just 2 frames delayed, but that’s what y’ing it into the CRT TV does first, gets your gameplay screen to be instantaneous. I don’t understand what you mean by “Y your signal”, I’m not that technical XD Do you mean to split it?